The first of April, 1982 found me and Mark making our way toward Hobbs, NM, thumbing it out on Interstate 10 in the Arizona desert, reading our Gideon Bibles and hoping for a ride from the ever more seldom-passing drivers. From a spot near Benson to another somewhere on the hundred or so miles to Lordsburg, we whiled the better part of two days. Finally we got a ride, but got dropped once again at a spot well short of a human population center. This time we were taken to rest area 25 miles west of Lordsburg, with nothing in between. The sun was going down. We slept under concrete picnic tables. In the morning we were awakened by one RV after another making their morning stops. After talking about it, we decided it made no sense go back to the road, when everyone inclined to stop was doing it right here. We couldn’t just stick our thumbs our, though. We’d have to ask for a ride. We split up and began walking up and down the long line of motor homes, looking for friendly faces. 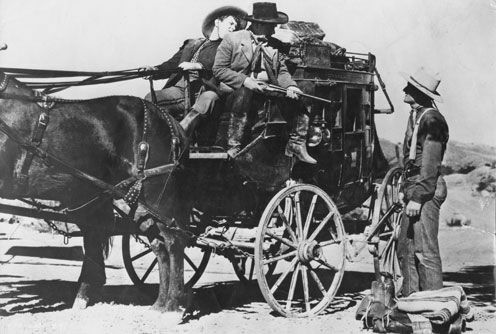 I found a man in his sixties and his wife and asked if we could at least go as far as Lordsburg with them. As he looked me up and down, I waved Mark over. The man was thinking about it, but wanted a feel for us, to make sure we were safe. He had us sit a spell and chat. One of the rich experiences of hitchhiking is that a surprisingly diverse range of people will pick up a hitchhiker, but they all have this in common: they want to give a ride to a stranger. It’s remarkable when you think of it. The inside of a car, or the cab of a truck, is such an intimate space, and inviting a stranger to share it with you is a generous, even a friendly gamble. Sometimes drivers are tired of driving alone. Or they are paying forward the rides they got when they were on the road. Sometimes they want to save your soul, or share a joint or a sandwich, or add a little spontaneity to a routine drive. Whatever the motive, they have this little albeit sufficient bit of trust, enough to reach out to a stranger and help out. It’s a beautiful thing, and I’m sad the psycho killers have all but ruined such an honored custom. After he had a sense of us, he said we could ride with them. He was a retired rancher, and they were spending a good part of the year on the road. They were solid, conservative, Midwestern Protestants taking on a couple of Northwest lefty drifters, and what a fine time we had! This was one of the nicest rides we got. It came right after we had spent the last of our money, and we didn’t know how we were going to eat, or how many days we were from Hobbs. As it turned out, we traveled in their motor home for two days. They drove us about 350 miles, to within 70 miles of Hobbs. The first day we went as far as Guadalupe Mountains National Park, where we stayed for the night. Along the way we stopped at a KFC, and when they realized we didn’t have any money left, they bought us lunch, and fed us thereafter. Interstate 10 dips south at Las Cruces into Texas. I remember my shock as we swung near the Rio Grande and I could see across the rail tracks, fences and the river what looked to me like a shanty town in Ciudad Juarez: the houses of paper and tin and others of bare, crumbling cinder block. The contrast between the two cities, where the houses on one side were only a thousand feet from the houses on the other, was stunning. And then there was this land we were driving through. As I crossed the Western and Plains states in 1978, I fell in love, deeply in love with the American landscape. Now, cruising across the great desert Southwest, entering Texas and then New Mexico for the first time, I was falling in love again. This was the land that starred in the old westerns I grew up watching with my grandpa, and my dad, who shared this romance. Open, hard, dry ground – red and yellow dust – sprinkled now with green – against a blue and white sky. There is history here, and timelessness, air that can choke or drown you, but let you breathe deeper than you ever have; land that fights you but also frees you. At the Park, I believe we pitched a tent outside the RV. The next day they dropped us at Carlsbad, NM. We were one ride away from Hobbs, a roof over our heads, some food and the next chapter of our lives. With any kind of luck, Troy lives at the Barton Motor Court! As we set foot in Hobbs, I looked around. 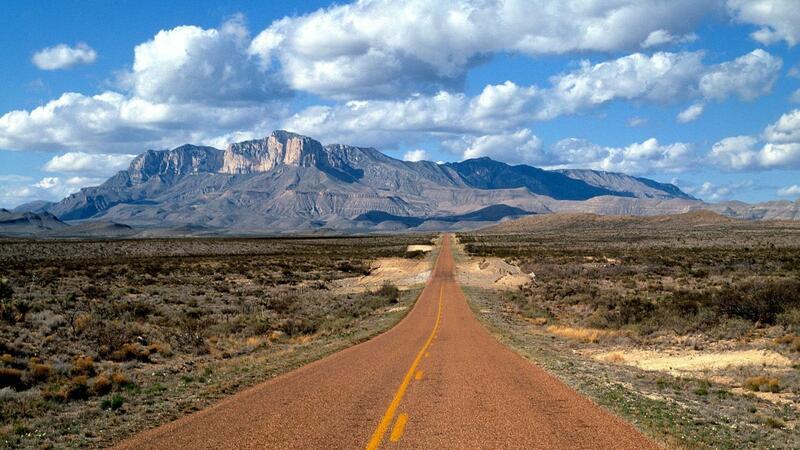 Picture west Texas, just six and half miles away, and you’ve got Hobbs. It was a flat, dusty town, and there was only one reason I could think of for having a town there, or any place like it: oil. That’s just fine by me. Oil is why I’m here. I pulled out the Rolodex card with notes about how to find Troy. Eventually we made contact. Troy found us at the Totem Grocery, a convenience store on the main drag. (The building is still there, with the Totem sign over the door.) After all the introductory remarks were dispensed with, I said something like, “Well, what do you say you take us to your place so we can drop our loads?” I was thinking of a cool, shaded room, and some real food. We were on the western edge of town. A few sparse businesses, like the Totem and the Caprock Lounge, open fields of scrub, pump jacks – little more. Troy led us in a straight line north and west out into the middle of the field next to the Totem. In a few minutes we came upon a 20-foot canvas army tarp spread out on the ground, with a backpack, a sleeping bag, some empty food cans, some books, and some pots and pans. All around us were pump jacks bobbing up and down. Troy stopped. I looked at Mark, expecting him to be as incredulous as I was. He wasn’t. My heart sank a little. When Mark and Troy first talked about this, they knew they wouldn’t get me to come down here if I knew we were going to be camping in an oil field. That was probably true. But if I had known that work on the rigs was falling off – never. Never. I felt betrayed. They had both lied to me. White lies to them; to me, black. There was no shelter, no shower, no refrigerator, toilet or sink. No water or electricity. No food, no money, and who knows, maybe no work. 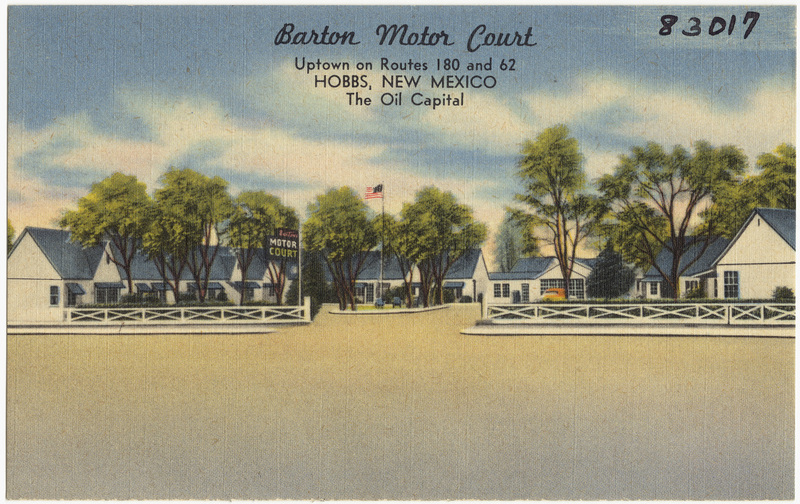 Welcome to Hobbs, the Oil Capital. And hey: the Alliance was re-allied, after all. And that was great. Together again. I rather marveled at where our friendship had brought us in less than a year and a half: from our homes back in Missoula to Seattle, then dispersed in opposite directions, only to reunite in this of all places. Being homeless and nearly destitute was a small thing. In fact, in light of our travel plans, it was funny. We were back to laughing at our self-made predicament. Situation normal. And there was an amusing irony here, that only now occurs to me. What did we do back in Missoula? We griped about our small-town captivity and longed for the freedom and opportunity to make our lives what we wanted. No parental constraints, no demands from school or jobs to hamper us. We didn’t want our lives mapped out for us by family or teachers or society. Freedom, baby. Well, we got what we wished for. And you know what that freedom looked like? Eating VanCamp’s pork and beans out of a can on a dusty piece of canvas in the middle of an oil field. No jobs or school or parents to pin us down, push us around or rob our time and energy. All the time in the world, in fact. Freedom, baby! Not a lot happened in Hobbs. The three of us lived on the tarp for the rest of April. Every weekday we rose early, dressed for worked and went to the Totem Grocery. There we waited as the roughneck crews stopped for coffee and food on their way to work. If a crew was short a guy or two, they’d pick someone up. This is what Troy had been doing. The more work, the more likely a guy wouldn’t show, so when the rigs were hopping, Troy would get plenty of work. Problem was, the big oil boom, which had been going since 1978 or ’79, was going bust. Just in time for our arrival. We went every day, but weeks passed, and we never got hired. We would spend the rest of the day on the tarp, or at the library, two miles away. At night, or when the weather was bad, we often took shelter at a place across the road from the Totem, which was a service station with a cafe and a store. (Also still there, under new owners.) The girl who worked there like to flirt with us, and we’d flirt back. We’d drink coffee, and occasionally drop a quarter in the jukebox. It is no exaggeration to say that every week I spent in Hobbs felt like a month. This is how it had been for me since El Centro. It wasn’t that nothing happened, or that I was particularly bored. It’s that time, every hour, every day, crawled. It moved so slowly because, apart from going to the Totem Grocery every morning, the notion of time grew irrelevant. I looked at my watch only out of habit, but next to nothing we did needed to be timed by anything more than the rising of the sun. Never again have I experienced this, but I remember it well. I believe it is not possible for this to happen if I have any sense of my current situation being in any way defined or delimited by time. The fact is I live with this time-definition every day, and the only way I know to be rid of it is to not know what is happening next or when. That doesn’t happen on a camping trip or a even a meandering vacation, if you have a job or family to get back to. I was floating, drifting through the days, as if I were in a raft on a river without any oars. I didn’t know where or when I could or would put out. I only know three dates from that month. The first two are the day we arrived, and day we left. The third is April 21st. That morning Mark and I woke up to Troy rousting us.When I looked at him, I couldn’t believe what I saw. He was standing there, wearing his army coat and his backpack, ready to go. “I am leaving,” he drew out like a carefully worded announcement. I sat up, my mouth open.